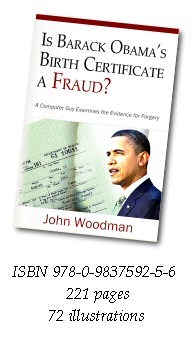 Is Barack Obama’s Birth Certificate a Fraud? is available from Amazon.com, BarnesandNoble.com, and other sources — in both print and electronic formats. If you should have any difficult locating a copy in your preferred format, drop us a line via the Contacts page. 4 Responses to Get the Book!